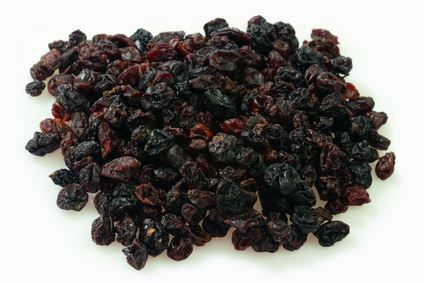 Currants are a type or raisin made of the grape type Korinthiaki. The grapes are at home in Greece, after all, the city of Corinth is the name patron of the currant. The black and red, large, seedless grapes are very aromatic and have a thin skin. The Korinthiaki berry contain potassium, calcium, magnesium iron, and vitamin C. After the harvest, they are dried to become currants and are then ideal for baking, mixed with nuts, in muesli, sweets or simply as a snack. Due to their particularly high sugar contents, they are sweet and tasty.